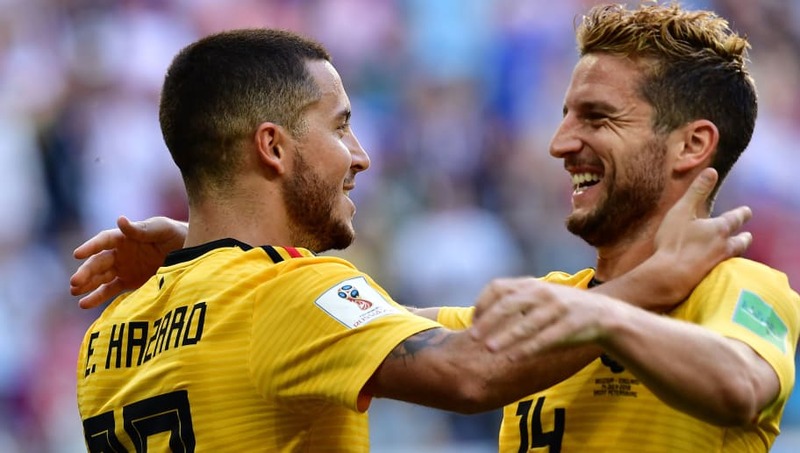 Some of Europe's biggest teams will have pricked their ears slightly as Dries Mertens has revealed that contract talks with Napoli have stalled - albeit temporarily. Since Maurizio Sarri converted Mertens from a winger to a striker, the Belgian forward has become prolific in Serie A. In his last two full seasons, the striker has scored 56 goals in 95 games for Napoli. However, despite his prolific form, Napoli have yet to open talks with Mertens regarding a new contract, which expires in 2020. The Belgian, when asked about this, said (via Gazzetta dello Sport): "For now we have not talked about it, but I'm 31. Maybe someone forgets it because I look younger, but now I'm an old man." Mertens also elaborated on rumours that linked him with a move away from Napoli in the summer. He explained: "Something was there, but nothing was taken into consideration, I'm happy at Napoli. I've always said it, I want to do well here, I have a contract until 2020." With Mertens' former manager Maurizio Sarri now at Chelsea, if the Belgian was to leave Napoli there's a good chance that his destination would be Stamford Bridge. Making this even more likely is the fact that Blues strikers Álvaro Morata and Olivier Giroud have been goal-shy over the past two seasons. Over the course of the 2017/18 season, in addition to the start of the current campaign, Morata and Giroud have only managed a combined total of 23 goals. This has left much of the goalscoring burden on Eden Hazard, who is currently the top marksman in the Premier League with seven goals. However, whilst Hazard is on fine form, if Chelsea are to mount a serious Premier League challenge they will need a world class striker, as Liverpool and Manchester City have with Roberto Firmino and Sergio Agüero respectively. Napoli manager Carlo Ancelotti, who incidentally managed Chelsea six years ago, will be hoping that Aurelio De Laurentis can strike a deal with Mertens which will see the forward finish his career at the Italian club. The Neapolitan side, who are currently second in the Serie A, face Udinese away from home on Saturday night as they aim to close the six point gap which has opened up between themselves and Juventus.